It's official, January 18 is our court date in Ethiopia! We'll only be there for a few days, but we'll get to meet Zoe, hold her and love on her for the first time. During this trip we will officially adopt her in Ethiopia. But, after spending a couple days with her, we'll then leave her with just a few pictures of us for 6-8 weeks before we can go back to get her and bring her home to Tennessee. We are over-the-moon excited about the day we will finally meet her, but also scared to death. We have no idea how she will react to us when we meet. She will probably be scared to death herself! We just pray that it will be a time to start bonding and begin the process of becoming a family. We're also praying that we'll be able to drag each other onto the plane home. It will take an act of God and probably some powerful medication to do so. Last weekend we were able to meet Sue, the director of our agency, Celebrate Children International. It was amazing to sit down with her and hear hear heart for the kids in Ethiopia and all that she is doing to make sure they find forever families. The house we were in was filled with internationally adopted children, several from Ethiopia. It was exciting to see the smiles on their faces and how quickly they have integrated into American culture. All I could think about was our Zoe, when they waved from outside or snuck a taste from the sugar bowl as they passed by. Sue loved on all the kids and knew them by name as she does all the kids she is advocating for around the globe. I am so glad that we are working with someone who views her job as a ministry and a calling. She is kind, but tough and her work is changing lives for eternity. It really is weird to be an adoptive family. We know that it is a special calling and not for everyone. All Christians are called to care for the widows and orphans, but that doesn't mean everybody is supposed to bring them into their homes and families. We want to be advocates for these kids around the world without making Zoe, or any other kids we might adopt one day, become little trophies on our mantle. Like I have said before, Zoe will be as special as any children in our family. Everyone thinks, "Wow, you are going to change that little girl's life," and we will, but we know that we have as much or more to learn from her than she will ever get from us. So the three of us will learn and grow together and all of our lives will be reborn. Tomorrow is our annual "Story Sunday" at TPC and I am preparing to talk to the kids about Zoe's story and the project that we'll be doing to collect much needed items for Tori and I to take to the Ethiopian orphanages in January. Tonight I video taped myself telling the story of our adoption journey in 5 minutes for the kids at our Franklin campus. It was amazing as I sat in Zoe's room, by her giant stuffed zebra and talked about how God has provided for us and answered so many prayers in the last few months. I thought back to how God changed our hearts from adopting a little baby to an older, waiting child who might have missed her chance to be adopted. I remember looking at the many smiling faces with Sue encouraging us to think about the "sad little girl" and then realizing that was our daughter. I remember the day that we got an email with no subject that opened to the smiling face that we'd been praying for. We had no idea how long it would take to see that smile and God gave it to us before we even met her. These past few months have been the busiest and craziest of our lives. The waiting has been getting harder. Today, Tori read a children's book in Target that began with these words, "I wanted you more than you ever will know, so I sent love to follow wherever you go." Thinking about Zoe had her in tears before the last page finished with, "you are loved." The author put our feelings into words. The words we wish Zoe could hear today and everyday. They are the words that the Lord has spoken to us throughout our lives, "Wherever you are my love will find you," and now this is the cry of our hearts for Zoe. As the days get closer to meeting her, the days without her pass. We think of Thanksgiving with family minus Zoe, a trip to Disney World without her, Christmas morning with her far away and ringing in a new year knowing she is there and we are here. Life as we know it is about to change forever. I don't want to sound like "Debbie-Downer" but I would rate this journey higher on the sad/difficult chart than the joyful/exciting one. I know that the days of joy will come when we hold her little body tight, kiss her sweet little cheeks, kick the soccer ball in our back yard and read stories at night in bed. But for now there is no little body, no little cheeks, no one to kick the ball back or listen to stories. It's hard to know that, most likely, no one is doing these things with her now and these are days we'll never get back. I also know that God still has much to do to prepare us and much more to provide for us to bring her home. So, we continue to do the best at the calling He has placed on our lives for now. We minister to and love on those around us today and we pray for the "sad little girl" in Ethiopia. We pray for warm nights, a full belly, health, love, comfort, security and lots of smiles. The day we meet cannot come soon enough, but it will come. The day will come when our sad tears will turn to tears of joy as we wrap our arms around the little girl that the Lord created to be ours. Taking the time to read this blog and pray with us means so much. We're grateful to those of you who have joined us in the journey as we bring Zoe home. We can't wait for you to see her smiling face and love her like you have loved us. Is the waiting just so hard? So normally I leave the blogging up to Derek, but I felt like I might take a stab at it. So while this might not be as eloquently written as the blogs Derek writes, it is still just an honest account of where we are right now in our adoption process. I talk to someone almost everyday about our little Zoe, and without fail I get the same question from people. “Is the waiting just so hard”? I always give the same simple answer “Yes”. I give that answer because until now I haven’t known exactly how to put my answer in to words. I don’t want to ever say “no the waiting is not so bad” because that would make me seem like I’m not fully committed to this journey or that I'm not already in love with my child. But the truth is “the waiting is not really that bad.” For me, this journey did not begin 2 months ago when we filed out our first piece of paperwork. It did not begin before I got married when Derek and I talked about wanting to make adopting a child a part of our family life. For me, this journey began almost 13 years ago in a small village outside of Vinnitsa, Ukraine. It was there that I met my sister Hope and God planted a seed in my heart. While I know that the Lord used me as an instrument in Hope’s adoption and I had a huge desire for her to become a part of our family, her adoption did not fulfill the desire that the Lord placed in my heart. I have known since I was 16 years old that I wanted to adopt a child. I knew that this was a desire that the Lord had placed in me. So for 12 long years I have lived with that desire with no knowledge of when there would be a light at the end of this waiting tunnel. While I wasn’t sitting everyday for 12 years thinking about when I would adopt, it has been a deeply planted desire. For 12 years I have clung to the promise that the Lord gives you the desires of your heart. I didn’t know how or when this would or could happen, but I knew that it was a true desire and that the Lord would be faithful. So here I am 12 years later right in the middle of the adoption process. We are down to the last few months until we get to bring our little girl home. I long everyday to be able to hold her and love her and have her here. However, I don’t look at the waiting as just hard. After waiting 12 years with no light at the end of the tunnel, a few months with a bright light at the end doesn’t seem all that bad. I know and am confident that He who began a good work in me all those years ago is going to be faithful to complete it in just a few short months. Well, I do just that…wait. I am trying to remain as still as possible and seek the Lord’s guidance for every step I take. I know that this last stage of waiting has a purpose just like the last 12 years. I know that there are things that the Lord is doing in me and Zoe that requires just this specific amount of time. It’s funny; I was sitting on my back porch the other day and saw a caterpillar attach it to the wall of our patio. It was this big fat nasty looking caterpillar that had all of these ugly spots on it. It quickly began forming a cocoon. I could see through the cocoon and could see that nasty fat caterpillar. It looked disgusting. Then just a few days later an amazing thing happened, that caterpillar was no more and a beautiful butterfly emerged. I feel like that is what is happening with my Zoe. The first time I saw her picture she was this tiny little girl with a shaved baldhead and was described as the sad little girl. There was no smile on her face and no hope in her eyes. Then we got another set of pictures and she started to show signs of maybe smiling, but she was horribly sick. She had almost a yellow color to her and her eyes looked sick. We got to see a half smile from her, but mostly we saw fear and apprehension. Then, just last night we got a new set of pictures, and just like that caterpillar, she has flourished. We saw a little girl with beautiful black soft curls beginning to grow on her head, healthy coloring to her skin, and huge smile that can light up a room. It is amazing to see how much she has flourished over these past weeks. And as I was thinking about her development, I started thinking of my own development. I can feel the Lord working, changing and shaping me in my own life. I too am becoming a “new creature”…a mommy. I see myself thinking less and less about myself and more and more about my child. I find that the boundaries that I have needed to set in my life for so long are so much easier to set and stick to knowing that it is for my Zoe and for my family. I am gaining a new perspective and appreciation for Derek. I am seeing him grow and develop in to a daddy. It is amazing, scary, thrilling and challenging all at the same time, but more than anything it is just part of this journey, part of the waiting. So, until we bring our beautiful Zoe home, I will wait. If you ask me if it is so hard to just wait, I answer yes but I am so grateful that Derek, Zoe and I have this time to allow the Lord to continue working in us. So I face each day proclaiming the promise that he who began a good work will be faithful to complete it. It is weird to adopt. Tori isn't pregnant, like several of our friends, but we are about to be parents like they are. We have all the same fears and expectations of what it will be like to have a child, but we don't have any part of her yet. She isn't growing before our eyes. We can't feel her move. We have a few images of her and that's all. It's just weird. I had a friend whose wife went to the hospital today because of some concerns with her pregnancy and we have another friend who got to hear her baby's heartbeat the other day. As scary and worrisome as this time is for them, they have the opportunity to check on their kids who aren't here yet. When something doesn't seem right, they have medical professionals check their babies. If they need to, they can change their diets to help their children receive the proper nutrition, they can wrap up in a blanket if it is cold or take medicine if they're sick. We know that Zoe isn't getting everything she needs, but we can't do anything about it. We recently learned that it probably isn't hot in Ethiopia at night and now Tori goes to sleep concerned that Zoe isn't warm or cozy. But we can't help her, snuggle her or tuck her in tight. We just have to wait, fill out some more paperwork, look at her picture and dream of the day she will be with us. Everyday that we wait, we know that it's one more day of her life that we miss out on. There are millions of firsts that we will know absolutely nothing about. We don't know her first word, we missed out on her first step, we never saw her first smile, we didn't give her first hug, we didn't witness her first breath. No matter how many firsts we will be blessed to have with her, the first years of her life have been absent from ours. I have been thinking lately about how I have learned so much in this last year from the precious preschoolers at church and watching Matt and Carrie parent their 3 awesome kids. I see how amazing, unique and special every single child is. I think about how we want to raise Zoe as our child, not our "adopted" child. She will be just as special and wonderful to us as the biological children we will have one day. The story of her arrival here will be extraordinary, but the arrival of each and every child is extraordinary. It kind of freaks me out to think about being a dad. This would probably surprise a lot of people, since I am a kids pastor, but it really does freak me out. I absolutely love teaching and entertaining a huge group of kids for an hour once a week. I have a degree in Family Studies and I have been training other adults to lead children for years. But the thought of being responsible to raise an entire human and prepare her for life is quite daunting. What if I work too much and how much is too much? How will I give her the attention she deserves so that she will grow to be a confident woman? Will she trust me? How will I let her know that I truly love her unconditionally? How do I keep her away from boys? That makes me think about the fact that Zoe is a girl. Yikes! Of course, I've been told that I will be a good dad to a little girl...I think that's because I am more of an artist than an athlete, but still I have almost 29 years of experience being a boy and none as a girl. I don't really know what dolls do or why a tea party is fun. I do know that this stuff is really important along with pink and sparkly things. I realize that all first time dads are completely clueless, too, but I guess that working with kids shows me how much and how easily I can really screw her up. I just don't want to screw her up, you know? It is a huge relief and ginormous blessing to know that Tori will be her mom. She will be a truly amazing mom. Really the best. Seriously, no little girl could be luckier than Zoe. Tori is amazing with all kids. I watched her love on our nephew, Will, today and thought about how lucky Zoe is going to be. Tori will hug, play, cuddle, sing, kiss, bandage and do more for Zoe than she could ever dream of. She will make our little girl feel like the most important person in the world. She'll ask her ten million questions about the simplest thing and listen to every detail, celebrating the mundane and honoring the ordinary so that her every moment feels special. It is a blessing for me to watch her as we go through this journey. Her heart breaks everyday for Zoe in a million different ways. I am blessed, challenged and humbled to hear of her concern for our little girl. I am blessed to be taking this journey with my best friend and love of my life. I have learned so much about love from Tori and I can't wait to watch her teach Zoe to love, give and celebrate. 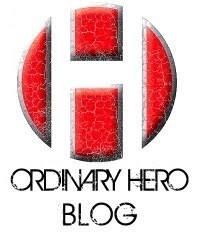 Thanks for reading our blog, talking about it with us and sharing it with others. It is so encouraging to hear you say that you are excited for us and that you are praying for our little girl with us. We're also really honored that you are buying shirts to help share our story and raise awareness about the many children waiting for forever families. There are lots of these kids out there from all over the world and right down the street who we would love to help you connect with if God has prepared and called you to adopt and you just don't know where to start. We would be so happy to help you take the first step. We've taken many steps in this wonderful journey. Thank you all for walking it with us! The last couple of weeks have been pretty crazy around the Jones house. We are overwhelmed by the many blessings in our lives, but man, even a life full of great blessings is busy and stressful! Last week, one particular day was a little extra overwhelming and less than perfect. Then, we got home and Tori checked the mail. There was a small package from Celebrate Children with a DVD of our little girl. Instantly we forgot about everything going on and went straight to the TV and watched the brief video. It was surreal to see her like that. The first part of the video was actually a little bit hard to watch. Everyone was trying really hard to get our "sad little girl" to smile. They were snapping in her face, pulling her by the arm, poking at her cheeks and flashing pictures of her. They wanted her to smile for prospective parents, but they were simply freaking her out! She was so very scared of what all was going on around her. It was breaking our hearts to watch. Then, they moved to another part of the room and she played a hand slapping game with one of the translators. It was adorable to watch her play. She was so into it. Tori says she played that game like it was her job. She was going to hit that guy's hand no matter how fast he moved it away! She would hit his hand extra-hard whenever she got the chance. She even tried to trick the guy, so we know there's a little trouble in her. This is when we got to see the first smile that we had only seen in pictures. It was so fun that we watched it immediately again. I know that Tori goes to bed every night thinking about Zoe, how she is being treated and did she get enough food to eat today. For me, watching this video connected me with Zoe in a whole new way. She has become more than an idea, more than a picture and more than a child that will one day be ours. As we watched that video we saw our little girl in an orphanage being taken care of by strangers. Zoe is no longer a stranger to me. We see her and know she is ours. The rooms that we have prepared for her seem a little bit lonely now. They sit empty and lifeless. We long for the day that she will play in her new playroom and sleep in her new bedroom. Our first home study visit is in the morning. Tori has been working hard all night to make sure our paperwork is all signed, notarized, filed and ready to go. Of course I've been sick all day and doing what little I can to help. Tori has promised to prop me up like "Weekend at Bernies" or whatever it takes to get us through this appointment in the morning, without canceling. Hopefully the social worker will see through the spaced out Tylenol Cold fog I will be in. We're really ready to get this interview over. I am sure that it will work out fine. We have a room setup, a couple of new fire extinguishers, our medicine is up high and I can't plug anything in easily anymore. As the days pass on we get more excited, but it also gets harder. We know this little girl is ours and it is more and more real everyday that she is not with us. The home study is another milestone and there will be more along the way. It is weird that just a few months ago we felt whole. Now there is an empty place wherever we go. We can't wait to experience life with our little Zoe. We can't wait for her to see Thomas the Train with her cousins or watch her receive hugs and kisses from grandparents. That day is not terribly far away. Until then, we will continue to pray for her every moment of everyday. Until then, we will continue to prepare a magical place for her to sleep and play. Until we can hold her in our arms, we will continue to love her from a distance. For the last few days we have been working hard to refinish furniture, hang curtains (without saying one bad word) and find special items for our little girl's bedroom and playroom. We have been transforming our office into a playroom and guest room into her bedroom.It has truly been a labor of love. We've had so much fun searching out things at Goodwill, looking through Hobby Lobby and wandering around Lowes for hours asking for help from every single employee at least twice. We've found lots of great stuff and it is so cool to put our personal stamp on it all. It turns out that the dressing table we got from Goodwill was actually donated by a friend at work who recognized it from a picture on my cell phone! The amount of pink in our house has increased 100-fold and I'm sure it will only go up from here. It is really fun for us to think about what she will do, how she will play and even what she will be when she grows up. We've been dreaming and talking far into the future about a precious little one who we have yet to meet. During this time, we have been looking at pictures and reading about a sweet, little 3 year-old girl named Tesfanesh and today we officially committed to her! They call her the "sad little girl" because no one could get her to smile for the camera. 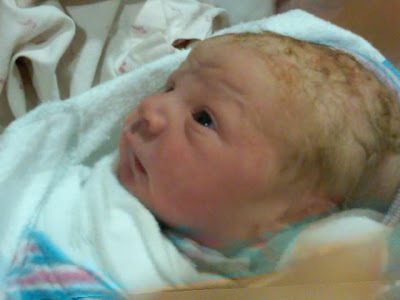 We will call her Zoe Renae: A Life Reborn, which is our prayer for her. We pray that joining our family will be a rebirth and the days of the sad little girl will be no more. We pray for and dream of days filled with smiles and laughter. We have seen nearly 100 pictures of her and only 1 with a smile on her face. She is VERY small and extremely shy, for now. Her mother is still alive, works at a bar, doesn't know who her father is and can no longer care for this adorable child. In her most recent pictures, they have her dressed in boy clothes...aReebok basketball jersey and khaki shorts. I told Tori that we will look back on this with her and either say, "see you were born an athlete," or "can you believe you ever wore sports apparel?" A few people have seen her picture and say she looks like me. This might be my only hope, since my nieces and nephew look just like Tori's dad. Thanks for praying with us and celebrating with us today! Today, we also want to offer you the opportunity to create awareness and support our journey in a more tangible way by purchasing a t-shirt in Zoe's honor for $15. 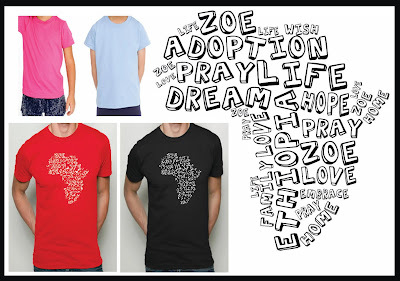 I designed the shirt with some of our favorite words forming the shape of Africa. They are American Apparel shirts in black and red for adults along with pink and blue for kids. The image will be in white ink on the front of the shirts. There is a picture below to show you an idea of what the shirts will look like. We want anyone to have a shirt, regardless of if you can pay or not, so let us know if you need help with one. We really just want tons of you all to share Zoe's story as it unfolds and promote adoption wherever you go. This shirt will hopefully be a reminder for you to pray and a conversation starter to help you share with others. There is a PayPal area on the top right-hand side of our blog where you can choose your sizes and colors as you submit your order. Thanks for partnering with us on this and we look forward to seeing lots of Zoe shirts around! We will take pre-orders until September 13th before placing our first order of shirts. (Please go ahead and pre-order so we will know how many to order). They should be in shortly after that. We will let you know as soon as they come in! Thanks!! We have officially started the process of adopting a child from Ethiopia. Tori and I both knew that this is something that was in God's plan for our lives. I knew it was in her heart since the day I met her and I know she prayed that it would be in mine. It is truly amazing to think that in a few months I will be a father. We've been talking about our "Zoe" for a year now. We haven't met her, we don't know anything about her. All we know is that Zoe means life and we feel called to bring life to this child who has no hope of life under her current circumstances. We have prayerfully considered this huge undertaking and believe that there is no way we CAN'T do it. With great joy and anticipation we are moving forward with the adoption of a young Ethiopian girl. It is amazing to watch Tori shine throughout this process as her heart breaks over every waiting child we see. Even though it is overwhelming, she gathers the paperwork and organizes it over and over, knowing it is leading us to our Zoe. She has read hundreds of pages telling us how to properly submit every document. We're looking for our passports, ordering copies of our birth certificates, getting reference letters and having EVERYTHING notarized. A friend of ours called this time in the adoption the "paper pregnancy" because we are into months of paperwork. It is already difficult and emotional at times. We are, however, extremely fortunate and blessed to have families who support us 100%. I know that we have more than enough love to give little Zoe when she arrives and we can't wait for that exciting day. I know that the transition from an African orphanage to a white American household will not be easy. I am just trusting the Lord to guide us as we raise this sweet little girl. There will be so many days that she will feel different and I am sure there will be days where she will be discriminated against. It already breaks my heart, but I pray that in spite of this, she will be a confident leader, not one who lives as a victim. It will be a huge job, as her father, for me to instill this confidence in her from the moment I see her. I pray that she will learn more of the love of Jesus everyday and as a result of her adoption she will more clearly understand what it means to be adopted into God's family. We are gearing up for a long, emotional, expensive, tiring journey but I know that the Lord has prepared us for this throughout our lives and He is continuing to do so. We are starting our family with adoption so that all of our kids know that this is what Joneses do. We care for those who can't care for themselves, however this may present itself throughout our lives. We want them to know that this is important to God and it is important to us. I also pray that those around us who see how we are starting our family and living our lives, will learn about what we are doing and say, "if they can do it, we can." I don't know what our future holds or how we are going to parent an Ethiopian girl in America. All I know is that God has directed both of our lives in such an amazing way so far that I trust He has an amazing plan for us and especially for Zoe. I can't wait to see how He uses her life to change the world. If you are reading this, I invite you to take this journey with us. We covet your prayers throughout the entire process and as we bring Zoe home. Like I said, we don't know what our future holds, but we know Who holds it. We are placing our trust, hope, fears, joy, pain and lives into His hands as He brings our family together from opposite ends of the world. Thank you so much to everyone for all of the prayers and encouragement to dad and our family. We are overwhelmed by all the love that is being shown to us. The last few days have been wild. We are all still processing that there really is a light at the end of this tunnel. We feel so blessed that dad has been healed. In the words of my sister, Hope "only God". We are grateful to his wonderful doctor and nurses, but we are most grateful to the Lord- the great healer. Thank you to all who are celebrating with us. News Channel 2 wanted to get in on the celebrating, so they joined dad today on the golf course. See the full story here http://www.wkrn.com/global/story.asp?s=12326416. About a month after Tori and I got married she decided she wanted a puppy. So I bought her a book that seemingly described the situation. It was called “Pigeon Wants a Puppy.” In this book, the pigeon really, really wants a puppy. It turns out the puppy was more than the pigeon had bargained for and she quickly moves on to wanting something new. Our story is quite similar, but with a twist, of course. Tori only wanted a cute little puppy that could fit in her purse and peek out occasionally to sweetly prance around before slipping back into her bag to nap while Tori continued with her day. So she asked if we could get a little puppy like that and I said absolutely not. Days later we were searching the Internet and newspapers for what dog would be perfect for our new family. After a few hours we came across a breed that was described as small, non-shedding, hypoallergenic and a great indoor dog. We thought, this must be it; we should get a miniature Schnauzer. We looked at information online and decided we wanted a solid black male without clipped ears. We talked to a genuinely kind couple in Murfreesboro and were on our way to their house a few hours later. Of course, before we got out of town we stopped at Target and deliberated over which baby blanket he would need to be wrapped in as we drove him to his new home. We pulled into their driveway and as we walked into their backyard, one of their two little boy puppies ran directly to Tori. We looked at both, but we were hooked by the little runt that chose Tori. We talked with the breeders for a few minutes and then headed home with our tiny, little, black fur-ball. He was adorable and we decided to name him Zeke. Zeke loved the soft green blanket with a tough dog sewn onto it that we had picked out for him. We went directly to introduce him to his new grandparents. The first house we came to was Tori’s mom and dad. Patti was honest, saying that she’d rather have another human grandchild, but Rick was smitten. We spent some time with them and Zeke peed on the carpet, which is something that has become sort of a tradition for him. Then we took him on to my parents’ house. This is a house that is traditionally a pet-free zone. On the way we stopped at a pet store to get a bed, some food, a black Harley Davidson collar with silver spikes, a leash, an id tag, a bag of treats and some clothes, you know, the necessities. The people were very helpful, almost too helpful, but we got almost everything we thought we would need and we headed out. Then PANIC. Tori felt a small tick on our precious new Zeke. I tried to use the tweezers on my pocketknife, but we were hurting him and couldn’t get it out. I ran back inside and quickly found special tweezers and we got him taken care of quickly. Whew, crisis #1 was over and we were ready to go. We should have seen the sign of what was to come with this cute little black runt. Anyway we arrived at my parents and they fell in love with him. Dad even wanted to hold him, which was totally out of character. We took him home to our house, played a little bit and put him in his new cage. He cried a little but went to sleep very fast. The next morning I took him to church and introduced him to a few hundred of my closest kid friends. We could not believe how calm and good he was. Everyone was falling in love with him. Soon after we had VBS and I decided to bring him to meet all the kids and get him socialized. I took him on stage and let 800 kids pet him. Many thought he was a stuffed animal because he barely moved. This was so fun and exciting for us for a few days. During the day we left him in the volunteer room with our friend Shelley and one day she came to get me saying that Zeke had an accident in the bag Tori had been carrying him in. The smell was really bad to say the least. I was about to go on stage, so I had to get Tori to take care of him. When I finished my responsibilities I called Tori and she was in tears. She was at the vet and the diagnosis was possibly Parvo, which my grandparents dog had just died from and it is rare that any survive. The tests came back negative, but we monitored him throughout the evening. He was barely breathing and Tori’s calls to the vet went from hourly to every 5 minutes, so she had us bring him in around midnight. I held him while she put in an I.V. and we left him to be treated for Parvo. He survived! But, this was the first of many trips to the vet. The staff talked to Zeke and us like we were old friends. I believe we were the reason for some of the upgrades we began to see around the office. After a few months we got used to cleaning up diarrhea and feeding Zeke pills wrapped in cheese. Amy and Cissy weren’t used to it when it happened in our cabin at children’s camp, but we all moved on. Zeke really became part of our family and Tori bonded with him really strongly while he was sick. As the days have gone by he has really grown. He actually got much larger than any cute purse can hold. He also became WILD. Very little of what we read about him before we got him was true to who he is. In fact, some days we almost wish for the Parvo days. Zeke is a crazy, wild dog. He eats only wheat and gluten free food. He is highly intelligent, which makes for much trouble. He wakes up early and goes out often. A puppy is a lot of work. Tori takes care of him in the morning and I play with him at night. My family took him in as a grandchild/nephew and they keep him when we go out of town…and pamper him. Mom sews up his over-chewed toys, dad plays chase games with him and Janice bathes him everyday. He is kind of the Jones family dog as everyone takes care of him. Sophie loves to look at him and she wants to play with him, but he is still a little overwhelming for her. Will really likes the idea of him, but he is just the right size for Zeke to knock over and make a chew toy out of, so they don’t play very much. Hope takes him for walks on bedazzled leashes and talks about how wonderful he is. He is part of the family for better or for worse. Pigeon wanted a puppy and she got it. It was simple for the storybook character as she got overwhelmed and could easily look to something new. We found out that in real life you cannot simply turn the page and move on to something the next bigger and better thing. The puppy, who is far beyond what we had anticipated, was more than just a picture on a page. We fell in love with the little guy. Zeke is pure trouble, but he is our trouble and we couldn’t imagine our story without him. So this time last week I was rushing to Atlanta praying that i would make it in time to see my new niece born. 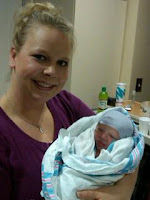 Carrie was suppose to be induced on Wednesday of last week, but Lillie had other plans. So Monday morning i woke up to my mom on the phone saying that Carrie was in labor and that i would probably not make it to see Lillie be born. I was so upset because i had been in the room when both Sophie and Will were born. So Derek and i quickly packed our bags and jumped in the car and raced to Atlanta. It turned out that we arrived at the hospital about 30 minutes before Lillie was born. You will have to read Derek's post about his experience during Lillie's birth with Sophie and Will- it is priceless. So, the time had finally come for Carrie to push. We were all so excited. It's funny, I knew that in a few minutes i would be seeing my niece, i knew she was a girl, i knew about how big she was going to be, and yet when she came out i was so surprised. I immediately started crying. Now, it is no surprise that i cried, but this time it was different from when the other kids were born. Lillie's birth was different for me. As i stared at the beautiful little girl with ten perfect fingers and ten perfect toes i was reminded of all the perfect gifts and blessings the Lord has given me in my life. I looked at my older sister and was overwhelmed with love and amazement. I was amazed at the strength of my sister. She had once again birthed a perfect beautiful child. I look at her and was overwhelmed with how much I admire and look up to her. She is one of the best mothers i have ever seen. She was born to be a mom. I thought about one day having my own kids and praying in that moment that one day i would be half as good of a mom as her. I am so glad that she is my best friend in life. I am so glad that one day when i do have kids of my own that she will be there beside me helping me not screw up :) I am so grateful that i have been able to see her be a mom up close and personally. I am so blessed to have her as such an incredible example of what a wife and mom should be. I Love her big as the sky. I looked at my own mom and was reminded that my mom is awesome. She was standing there with tears in her eyes looking at the newest addition to our family and i prayed right then that Lille would inherit the strength that my mom had passed to each of us girls. I was grateful that my mom is a woman who loves her children and has taught us how to love others. I love that she is a mom that will drop everything in her own life to be there to experience moments- big and little- with her kids. I then looked at Matt, my brother in law. I thought about how grateful i am that my sister has a husband that loves her so well. I watched Matt kiss his new daughter and was grateful that Lillie would grow up with a dad that will tell her everyday that she is loved and beautiful. I thought that at that moment that little girl has no idea how great of a dad she as and how much fun and laughter he will bring to her life. Watching Matt with Will and Sophie is one of the funniest things in life. He can make them laugh like no one else and i know it will be the same with Lille. is like none other. So i started thinking about how much fun it was going to be to let Lillie into our girls club. I looked at her perfect little hands, feet, eyes, head full of hair, mouth- and could not believe how in an instant i could fall so in love with this little girl. I cant wait to see her grow both physically and in personality. Will she be silly or serious? Will she have blue eyes like Soph or brown like Will? Will she be a good sleeper like Will or stay up till all hours of the night like Soph? I am so excited that this new chapter in life has begun with Lille. I cant wait for our relationship to grow. I know that there are great adventures ahead. We got "the call" and arrived in Georgia 2 days earlier than we planned for sweet Lillie's arrival. I am over the moon for her, but strangely her birth was not the most excitement my life saw these past couple of days. Soon after we got to the hospital we were asked to pick up Sophie and Will from school. After Tori was reassured we would make it back in time for Lillie's birth we happily went to gather our niece and nephew so they could soon meet their little sister. We knew that when we arrived back at the hospital the kids clothes would need to be changed as Sophie was dressed like Juliet for a school project that day. We arrived at the school in less than 5 minutes, woke Will up from his nap and quickly got the kids to the car. As we were getting in, I got a call saying that I needed to drop Tori off at the door so she could get right in to be with Carrie as she delivered Lillie. Tori suggested that I change them in the trunk of the SUV. We dropped her off with kisses and "I love yous" then headed into the parking garage. We parked and started moving to the trunk. Sophie asked that I close the door for privacy so I climbed in, put will in my lap and did my best to close the door from the inside. Our space was cramped with two large suitcases, a stroller and the three of us. I tried to close the stroller with Will in my lap without success so I attempted to shove it over the backseat in-between the two car seats without hitting Sophie in the face or catching it on her poufy pink princess dress. It would not fit, so I tried to unlatch and fold it up. I was successful so I moved on to the changing of the clothes. I helped Soph get her dress undone so that she could take it off. I opened the suitcase and had to lay the top flap over me and Will to get to the clothes. Their outfits had been described for me, so I knew what I was looking for: 2 white turtlenecks, 1 pink corduroy dress, 1 pair of brown overalls and tights. Everything seemed to be right on top, so I grabbed a turtleneck and some tights so I could get Sophie started. Together we decided the bloomers from her costume should come off so we could get the tights on. I got the first leg on and left her with the second...so then I went back and helped with the second. Tights on, check. We got the shirt on with ease. Then came the dress. It had buttons all the way down one side and a bow on the other. It seemed that it would go on much like a long vest and Sophie told me that the buttons went in front. After we got started it didn't seem quite right, so we took it off and went with buttons in the back...perfect. I handed her a pair of brown shoes with pink polka dots and gave her the task of putting them on while I started with Will. I knew this would be trickier because he was in my lap and halfway under the suitcase reading his "Cars" book. I took his shoes off and he asked that I put them back on, but I kept on going and removed his shirt. I grabbed the closest white turtleneck and began to pull it down over his head. Something was keeping it from going all the way on and I realized that it wasn't even to his nose and ears, so I pulled harder. As I continued I began to realize that I was getting nowhere and suffocating him as he began to scream/cry. I pulled it off quickly and decided to give him a quick break while I helped Sophie take her shoes back off and put them on the right feet. Then I went back to Will and the tiny necked turtleneck. I pulled it over his head again and began to make him scream once more. I realized that this was never going to happen. So I reached over him, pushing away the pink princess dress, to dig through the suitcase to see if there was another shirt. Moments later I found a white turtleneck, with a larger neck and a little teddy bear sewn on the front. I knew this must be the one. I quickly got it on him and we were in business. I tried to get his pants off one leg at a time, but it was tricky to do so while he was on me and under the suitcase. Finally after some creative movement we were ready to get the overalls on. This was a quick task and then the shoes were a breeze. I gave the kids a quick look and we were ready to jump out so we could go in to see their new baby sister. I felt along the back door of the SUV to find the handle, but it was nowhere to be found. Stuck! We were stuck in the trunk. The wheels in my head began to spin as I tried to figure out how to get the three of us out. Then I heard my name followed by four scary words..."Uncle Derek, I have to potty." Panic mode sets in. I look to see if I can push by her and squeeze between the car seats and over the back seat. So, I come up with a brilliant idea. I send Sophie over the back seat so that she can open the side door, go around the vehicle, open the back door and free us. She got over the seat just fine, but the door was very heavy and she couldn't quite open it. I didn't know if it was locked or not, so I had her climb to the driver's seat and try to open it. As soon as she got to the front, the side door fell open. I called to her to get out through the side. She quickly got out and walked around back. She got to the back and I shouted through the glass for her to pull the handle, but she couldn't find it. She shouted to me, "What do you want me to do?" and I shouted back, "Pull the handle!" and she shouted, "What?" and I shouted "Pull up on the handle!" I began to realize this wouldn't work, so I told her to come back around to the side. I made the decision that I would have to squeeze over the seat and try to maneuver between the car seats. I made it over and then pulled Will over from the back. We climbed out. I went to the back and realized that the trunk handle was hidden in the license plate nook. I grabbed the few things I could see that I thought we might need, locked the car and we walked as fast as our little legs would carry us to the elevator. We went down three floors, got out, walked down the sidewalk, went into the main building, got on the elevator, went up 3 floors and found the nearest men's room. The three of us got into the only stall just in the nick of time. I kept Will from touching stuff while Sophie went potty. We went to the waiting room around the corner, got some skittles and lemonade and sat down to wait for the baby. After a phone call from Aunt Pam, Will said, "I poop." Great. I had one diaper, no wipes and no desire to change a diaper. We quickly left, went to the nurses' desk, asked for some wipes and a changing station. They brought me a whole pack of wipes and sent me on a hunt for the changing station that could not be found. Finally after Sophie said, "You've had us walking all over this whole hospital," I decided to find a secluded place and change the diaper. I lay him down, unbutton the overalls and awkwardly pull them down. I nervously open the diaper and to my surprise, it is fresh and clean. Will looks up at me and laughs. I put him back together and all three of us go to the "play area" and amuse ourselves with broken toys. A few minutes later Tori calls to say that baby Lillie was born! This is when things calmed down. Tori came to get us and we all went up to meet her. Sophie held her, I held her and Will just wanted to bite her. I was so glad to be an uncle again and I look forward to new adventures with my special three...Sophie, Will and Lillie. So here we are, Derek and Tori Jones, making our first entry in our new blog. Derek and I got married on May 2, 2009 and our life has been nonstop since our "I Do's". Here is a short recap of our past few months- We like to refer to it as "Four Weddings and a Funeral". l amazing all inclusive resort in the Dominican Republic dining on Doritos and Gatorade from the gift shop. including my dad's birthday, mother's day and my little sister, Hope, graduating from High School. The first week of June was VBS at The People's Church, and since Derek is one of the TPC Kid's pastors, this is a very big week for us. To add to the excitement of the week, we decided that we would get a dog, so we got Zeke. We thought that we had this sweet very calm puppy until Thursday of VBS when we had to rush Zeke to the emergency room at the Vet's office to find out that he had Parvo. Luckily he was treated and survived. In July, we had a huge event in our lives. Sophie turned 5. We had a "Think Pink" party. Everything was pink, we all wore pink, and ate pink candy. For some reason Derek and I thought that we should make Sophie's birthday cake. After dozens of eggs and pounds of flour later we had a giant pink cup cake cake. Check out my sister Carrie's blog for all the pics. you better believed we dressed up. We finished the month with a family trip to the beach with my family---well it was suppose to be a family trip. My mom, dad and Matt and Hope ended up not being able to go (my grandfather had to have surgery and my Aunt Jan was diagnosed with Cancer), so Me, Derek, Sophie, Will and Carrie had a family trip to the beach. August was yet another busy month. We had Leadership Summit at TPC. That is one of my biggest events of the year. My sister, Carrie came in to work for me that week which helped tremendously. That week was also her birthday! The biggest adventure in August was that Derek changed jobs. He went from working on the TPC franklin campus to being the TPC kids pastor at our Spring Hill Campus. With this move, he moved offices. This was the first time in 3 years that we have not worked in the same office. It was a little weird at first. However, he is back now- the Spring Hill staff is officing in Franklin until their new building is done. In september we went to Atlanta for a few days to spend time with my sister, Carrie, Matt, Sophie and Will. We had a great time in the ATL. We spent one full day at World of Coca Cola. Later that weekend, the girls had a special night out at The Glass Slipper Ball. Sophie was the most beautiful princess and she had a blast dancing the night away. It was during this trip that Carrie and i realized that we were married to teenage boys. Matt is the 15 year old and Derek is 13. They have teenage boy humor and like teenage boy pranks. Matt usually instigates things and Derek keeps it going. In October we had a lot going on at Work. We had a conference, a Spring Hill party, Pumpkinfest and lets not forget the UT vs Alabama game- which was one that was a little too close for comfort. Matt, our brother-in-law also had his big 30- even though his party was postponed twice and eventually canceled :( We also celebrated Derek's dads birthday. He was the big 60 and we had a surprise party!! In November, we had a crazy month. The week before Thanksgiving, my Aunt Jan died. It was a very sad time, but we were all glad that she did not suffer long. She died just a few months after being diagnosed with cancer. We all traveled to Alabama for her funeral on November 17 (which was also my mom's birthday). It was during that trip that we found out about a relative of Aunt Jan's- Unca Jack. Derek and Matt had quite an experience in my Aunt Jan's basement going through some of Unca Jack's most treasured possessions. I cant go in to all the details here, but in their teenage boy humor, Matt and Derek had much fun retelling all that they found. The very next week was Thanksgiving. After having Thanksgiving dinner with Derek's family on Wednesday night, we went to Alabama to have Thanksgiving with my family. We had a great time with family. We loved getting to watch the Alabama/Auburn "Iron Bowl" game at my grandparents. It was a night of yelling, cheering and laughing! and I both have December birthdays (the 12th and 23rd). We decided about a week out that we wanted to celebrate our Birthdays in Disney World. So we booked our trip and 9 days later flew out to Orlando. We had the best trip ever. We were only there on a Monday- Wednesday, so we packed out our days and nights. We went to the Magic Kingdom, Animal Kingdom and Mickey's Very Merry Christmas Party (which was my favorite). The party had amazing decorations, parades, fireworks and a snowfall on Main Street. I will never forget all that we got to do and see on that trip. It was like a dream. After celebrating in Disney, we came home to get ready for Christmas. We literally had 4 Christmases. We spent Christmas Eve and Christmas morning with my immediate family, Christmas night with Derek's family, December 26th with my mom's family and the 27th with my Dad's family. All of these family members came to my parents house- Did i mention that my mom had knee surgery on the 23rd. She was a trooper. It was truly the craziest most exhausting Christmas of my life, but it was truly fun. When Are You Going To Start Another Church?